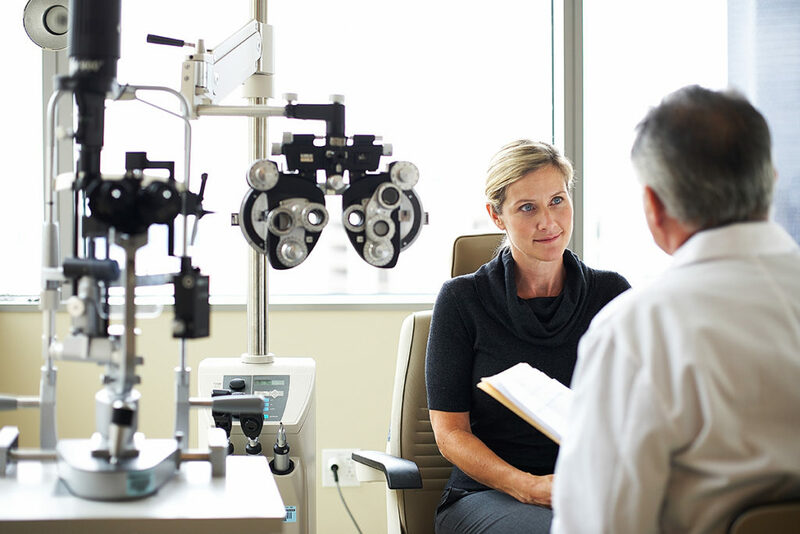 A multifocal lens is a lens that contains two or more prescriptions for correcting vision at different distances. 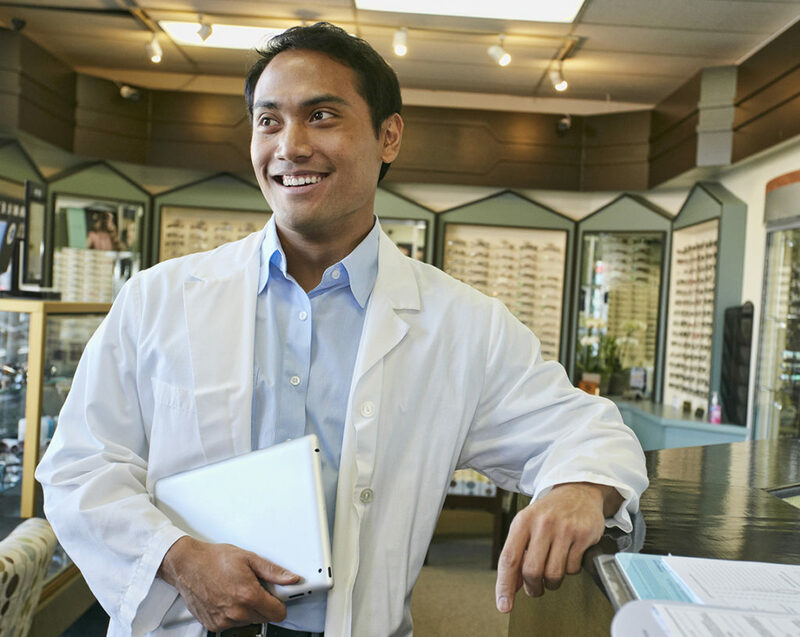 These include bifocals, trifocals, progressives and special occupational lenses. Multifocals are designed to help people see well at various distances, especially as they age. Bifocals (meaning two) are prescribed to aid both near and far vision. Trifocals (meaning three) are prescribed to aid near, arm’s length and far distances. 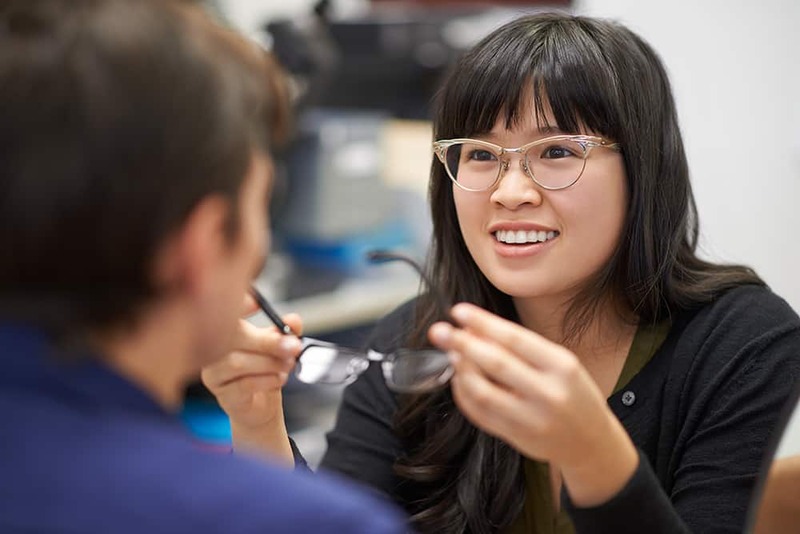 Progressive addition lenses are multifocals with a gradual change in the lens from distance to arm’s length to near without lines in the lenses. As people reach their early to mid-forties, their eyes gradually lose their ability to focus on objects that are close up. 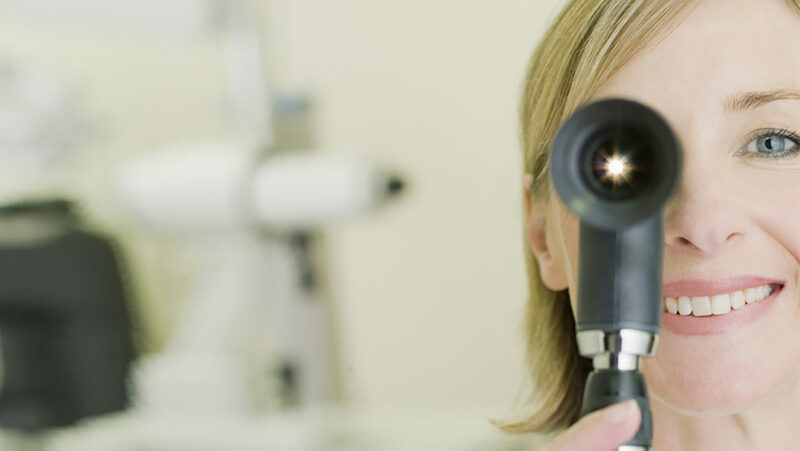 As a result, multifocal lenses are often prescribed to adjust to these changes. Those lines can be eliminated with no-line or progressive addition lenses. They gradually change in power from the distance segment to the near vision segment. These progressive lenses are the most advanced, multi-functional of any multifocal and many people prefer the cosmetic value of no lines in addition to the versatility that these lenses provide. The gradual decrease in the ability of the eyes to focus at near is a natural part of the aging process. Multifocal lenses merely correct for these changes. Currently, over half of all spectacle lenses worn in Canada are multifocals. Multifocal contact lenses are available. In addition, the technique of monovision (using one eye for close vision and one eye for distant vision) is very common. Reading glasses may also be used over top of contact lenses. Check with your doctor of optometry.